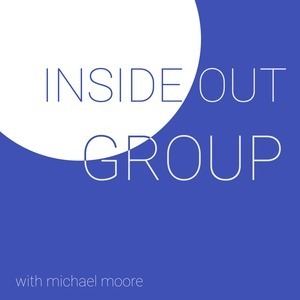 We found 10 episodes of Inside Out Group with the tag “organization”. Marketing no matter what you do can have many different approaches. How about social media? Do you budget out marketing on social media platforms? How much? Which ones? Where do you even start? Hear about our recent success with social media marketing and how you can benefit from it. After not having an episode last week, we decided to give you a special insight to our recent night of worship with Mack Brock! You'll want to listen as Mack Brock does a QnA with local worship pastors in the Albany area. Small groups, community groups, whatever you call them it's fundamental in any church. Whether you are just starting or want to know how to take it to the next step, join Nathan and Michael talk about how to grow your groups and use technology to stay current. We've talked about building a volunteer culture in your church or organization, but what about shaping that culture around you? Join us this week as we talk to Keenan Clark talk about how he shapes the culture around him at such a young age. After building up your church or organization, you want to make sure it's legacy is known. You need to make sure the next generation is reached and is ready to step in after you. The problem is, how you engage this next generation? How do you have them grasp your culture while reaching theirs?